On a hot summer's day there is no better place to go racing than Ladies' Day at Royal Ascot. Who doesn't enjoy royal ascot hospitality dressed in their best frock or men look smart in their best three-piece suit. The third day of Royal Ascot sees not only Ladies' Day but one of the top two-year-old races being the Norfolk Stakes (group 2). This two-year-old race is open to colts and fillies racing over a distance of 5f. Original known as the New Stakes it was inaugurated in 1843 when Rattan raced to victory. In 1973, it was renamed the Norfolk Stakes in honour of 16th Duke of Norfolk. It was upgraded to Group 2 status in 2006. Lester Piggott is the leading jockey with nine wins to his name spanning three decades Abermaid (1961) - Niche (1992). A number of exceptionally talented horses have won this race. The prolific Superpower (1988) trained by Bill O'Gorman and ridden by Tony Ives. This two-year-old who won his first six races although struggled in his three-year-old career and was retired to stud. 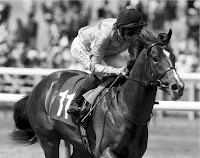 However, he achieved great success in his formative season taking the National Stakes (Listed), Norfolk Stakes (Group 3) & Phoenix Stakes (Group 1). 1993 saw another talent in Turtle Island, trained by peter Chapple-Hyam. This son of Fairy King went on to win the Irish 2000 Guineas. A true star was seen winning in 2001 when Johannasburg (pictured) proves outstanding for Aidan O'Brien and owners Michael Tabor and Sue Magnier. He went on to win the Phoenix Stakes (Group 1), Prix Morny (Group 1) & Middle Park (Group 1) at two. 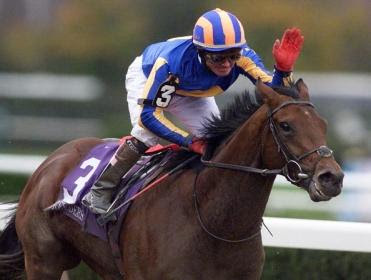 To conclude his juvenile career, he won the Breeders' Cup Juvenile. Exceptional horse. Other noted talents include: Superstar Leo trained by William Haggas. In the last decade, all Norfolk Stakes victors have been previous winners. Seven out of ten favourites have been placed. Three favourites have won. Seven out of ten winners have been single-figure odds. Welcome to Racecourse Directory. 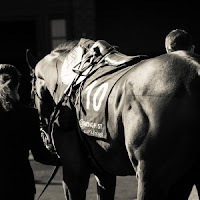 We promote UK racecourses to keep you informed of all their latest news. Simply CLICK the Quick Finder Button to locate Websites, Twitter & Facebook pages. Don't search the net. Racecourse Directory does it fast. All links are updated on a regular basis.